Structural subsidence repair carried out on two storey dwelling house in Moffat. Scope included underpinning to existing walls, careful removal of brickwork to external gable and rebuilding of wall with new French doors, new ‘Secureguard’ retaining walls and drainage, all delivered while maintaining occupation within the house. 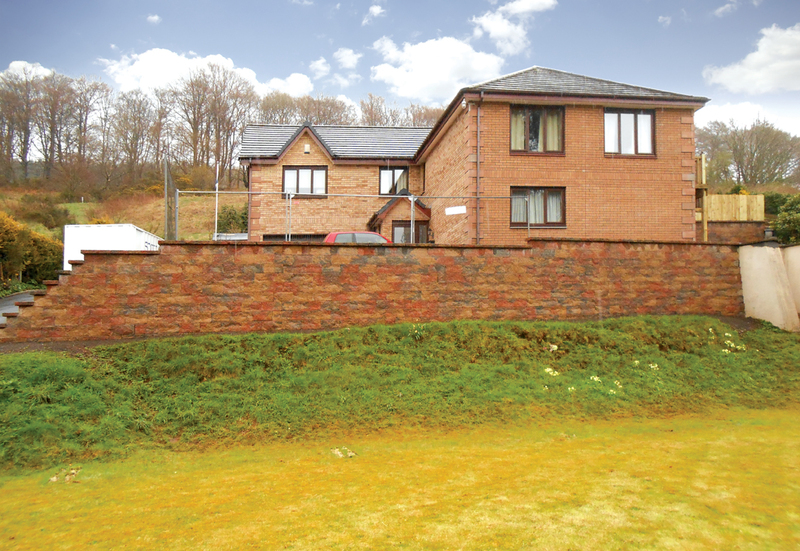 “I recently made a claim under an NHBC warranty for repair to a retaining wall to the front of my property. Scott Building were appointed as contractor for the works. The extent of the repair required major remedial work to the house foundations. Scott Building worked very closely with the Consultant Engineer (Blyth & Blyth) to effect a practical and cost effective solution. The work on site was well co-ordinated by Iain Scott and the workers were efficient and always courteous. The site was secured and cleaned at the end of the working day.